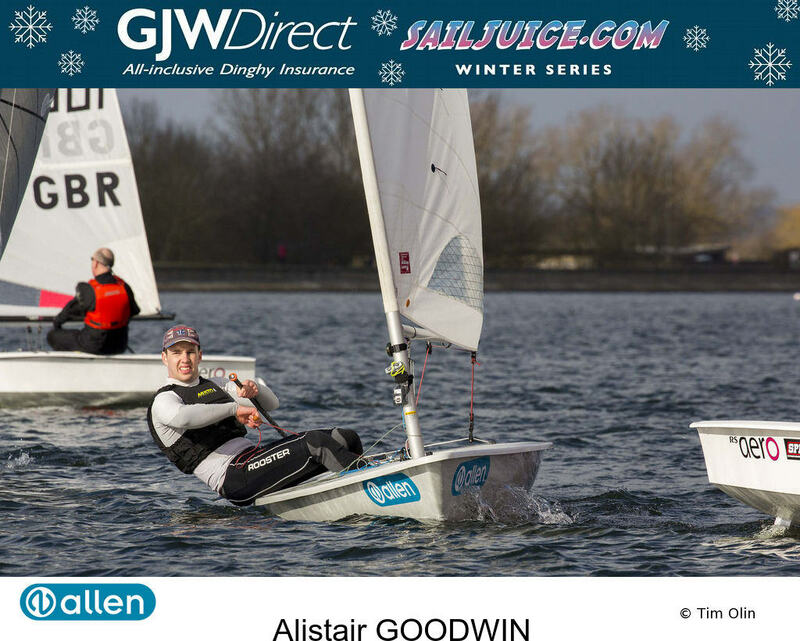 The young Laser sailor managed to take two bullets at the final round of 2017/18 GJW Direct SailJuice Winter Series, at a crowded Oxford Sailing Club. Results In light conditions across the three races and a large entry of similar speed single handers the key to success was managing the traffic and keeping out of trouble. Results The RS Aero Winter Championships was also held as part of the 2018 Oxford Blue, GJW Direct SailJuice Winter Series #7. After some very close racing, and several tie breakers on corrected times over average laps, Peter Barton (9) wins from class world champion Steve Cockerill (7) by half a point.